The other R. Kelly on Twitter: "Today's been a mixed bag of more bad than good but tonight and these flowers made everything a little bit better ☺… https://t.co/9cNbQHGriO https://t.co/htE4cca1xh"
Thomas Maluck on Twitter: ""Everyone needs to be able to pose on stage, to run for office, to receive attention from the country and the world." World reset button plz https://t.co/r8wmC489Ko"
Emily Meixner on Twitter: "Can't wait. So many authors. So many sessions! Looking forward to talking about LGBTQ middle grade books with @Barbaradee2 that morning. https://t.co/AXaczLRLiN"
Mitu Khandaker on Twitter: "On this note, I saw this doing the rounds again, and it is Very Good Advice that I'm trying to follow. Jayne VanNosdall on Twitter: "@thereadingzone @KellyGToGo @thereadingzone I took notes too- yours are so nicely organized- thanks! 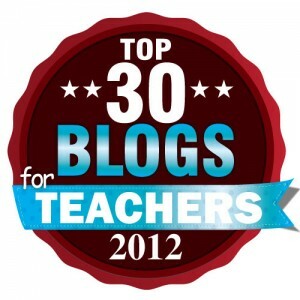 @KellyGToGo Awesome practical tools to increase volume of R & W!" Donalyn Miller on Twitter: "@mollieagross @thereadingzone @kw625 @MisterMinor @145lewis @pernilleripp @Kishahowell3 All @NealShusterman sci-fi, short stories from @davidlubar's Weenies books." Jennifer Ansbach on Twitter: "Didn’t get to see @KellyGToGo at @RutgersU today? I didn’t, either. BUT @thereadingzone was and shared her fantastic notes! Thanks, Sarah! https://t.co/FkuhJkhERM"
Mike Lewis on Twitter: "@mollieagross @thereadingzone @kw625 @MisterMinor @donalynbooks @pernilleripp @Kishahowell3 A ton of incredible short stories from @WaldenPondPress https://t.co/A6kW8rgSvT"
Sarah Mulhern Gross on Twitter: "#nErDcampNJ apparel is only available via the online order. We will not be selling at the event. Order by 4/26! https://t.co/hbR8cXQf5f"
nErDCampNJ on Twitter: "Thank you @JanieH! We appreciate the love and support. Hope you can make a future #nErDcampNJ if you can't come this year. #literacylove https://t.co/QPB6rxI8wS"
Sarah Mulhern Gross on Twitter: "I couldn't #marchforscience today because I had to oversee #hthssplash. Still wore this while helping middle schoolers fall in ❤ w/science! https://t.co/nfjBoHb9WA"
Melissa Guerrette on Twitter: "We received a class set of donated copies of The Seventh Wish. My attempt to explain the impact: https://t.co/XSY3lwLfJA https://t.co/eB4hqM7b8P"
Oona Marie Abrams on Twitter: "@TonyAbbottBooks @SarahDarerLitt @EliotSchrefer @jeffrywjohnston They're already buying your books! https://t.co/s2jJDAXTv7"
Lin-Manuel Miranda on Twitter: "What a treat! Did your sons like the Picasso Museum? My son liked it okay but preferred the recycling truck crushing glass outside. https://t.co/Ci75ProKb5"
Did your sons like the Picasso Museum? Sarah Mulhern Gross on Twitter: "Just 35 days until #nErDCampNJ! Have you registered yet? What are you waiting for? https://t.co/2xEIBDdiQU #njed #engchat #nerdybookclub https://t.co/mgph5mcS0v"
https://t.co/VA63uVReWR @thereadingzone @HighTechAB i don’t know if things are still the same around high tech, but this seemed relevant! Kelly O'Donnell on Twitter: "Glimpse of Secret Service dog on flight back from Palm Beach Trump duty. Sat quietly in his own seat next to handler. https://t.co/FIjgXfNRU0"
Jennifer Ansbach on Twitter: "My furry friend is watching me from her bed. We know we don’t have much longer with her, & it breaks my heart to think of life without her. https://t.co/QKA2gqlgR6"
nErDCampNJ on Twitter: "In new #nErDCampNJ news: T-shirts! What do they look like, you ask? This! https://t.co/vOp4UMi9Xo Order by April 26th, delivered by May 12th https://t.co/U8fEjBj37C"
Jim Breheny on Twitter: "Seems like series just premiered! Tonight we saw season finale! Great show to end on! Proud of everyone here @BronxZoo for all good work! https://t.co/g5vdgkhk2m"
Sarah Mulhern Gross on Twitter: "Lots to think about in this article. It Takes a Suburb: A Town Struggles to Ease Student Stress https://t.co/ZVap0qXazy"
Sarah Mulhern Gross on Twitter: "Hey #nErDCampNJ-ers…how do you feel about official @nErDCampNJ1 t-shirts? Any funds raised will support next year's event. Coming soon!" Paul W. Hankins on Twitter: "Hey, #Room407 Readers: Welcome back from Spring Break! Here is a book you'll want by @acthomasbooks! We'll have it in the room tomorrow! https://t.co/K2Ews45lPB"
Darren Naish on Twitter: "#Animals are all around us, even in urban places. None of the creatures here (all seen today) are mundane. All spectacular and incredible. https://t.co/jLYnhEf8nE"
fatima on Twitter: "THE ENTIRE POINT OF THE EGG WAS TO SYMBOLISE THE START OF YOUR BIRD LIFE THE TWEET BUTTON IS A FEATHER AND THE HOME ICON IS A BIRD HOUSE https://t.co/x0phC34qEX"
Book Riot on Twitter: "Why I hate THE HOBBIT: https://t.co/QnGYehSZ0G https://t.co/LzCkLFBoYf"
Sarah Mulhern Gross on Twitter: "It’s 50 days until #nErDCampNJ! Have you registered yet? What are you waiting for? https://t.co/2xEIBDuTIs #njed #engchat #nerdybookclub https://t.co/Vm3Rv1CXM6"
NYC Mayor's Office on Twitter: "@NYCMayor Bill de Blasio just announced the city will close Rikers Island. https://t.co/qFHrmJoeW7"
Sarah Mulhern Gross on Twitter: "It's going to be great! I am already contemplating a session about integrating science into English through YA…#nerdcampnj https://t.co/JqmfjYvIYV"
here’s my site for tonight before the sunsets! Sarah Mulhern Gross on Twitter: "I always share @audiobookSYNC with students. Two free audiobooks each week all summer! #titletalk"